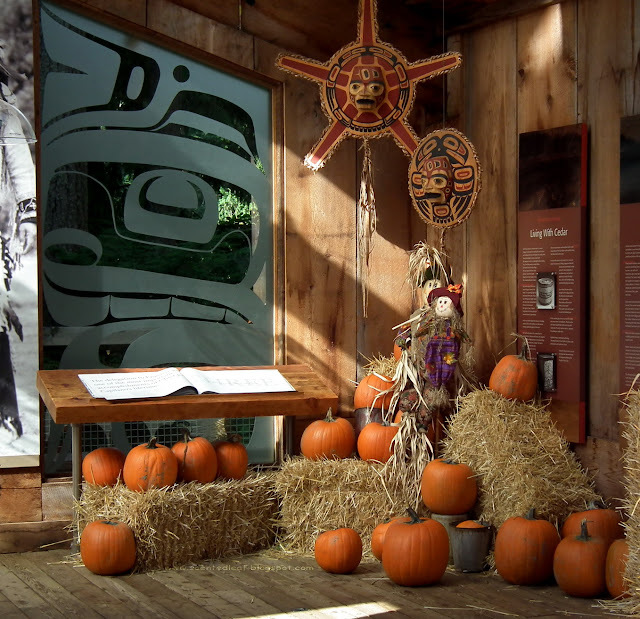 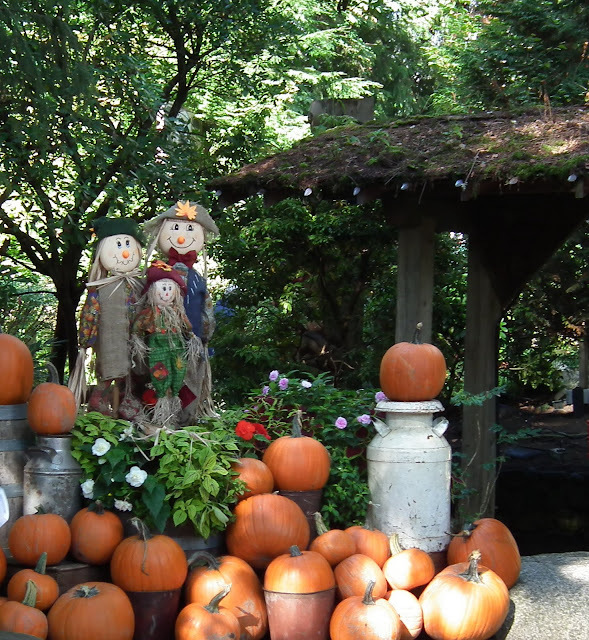 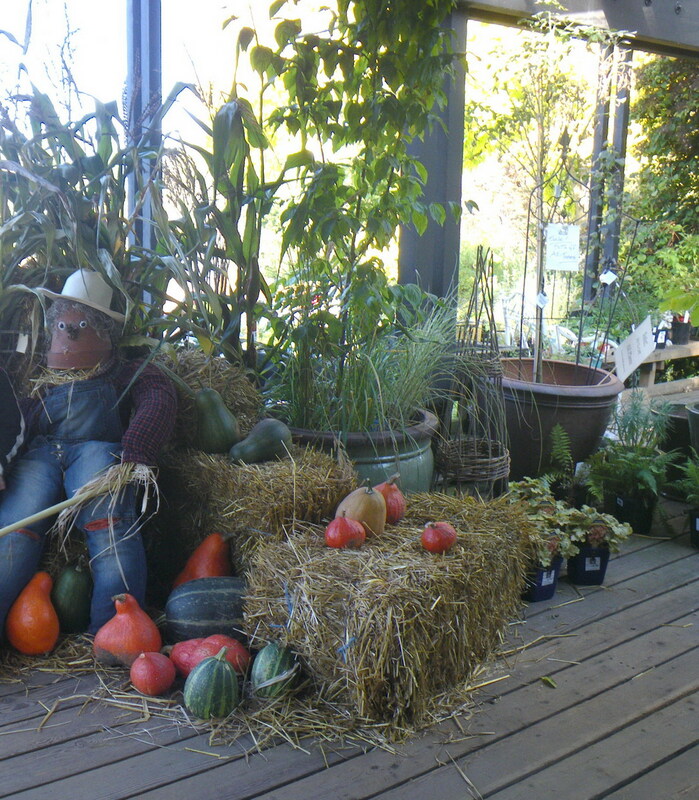 The harvest fall-themed decorations with pumpkins, hay, corn-shock, scarecrows, wheel barrows were very popular in Vancouver: at Capilano Suspension Bridge, UBC Botanical Garden, VanDusen Botanical Garden and in front of many stores and community gardens. 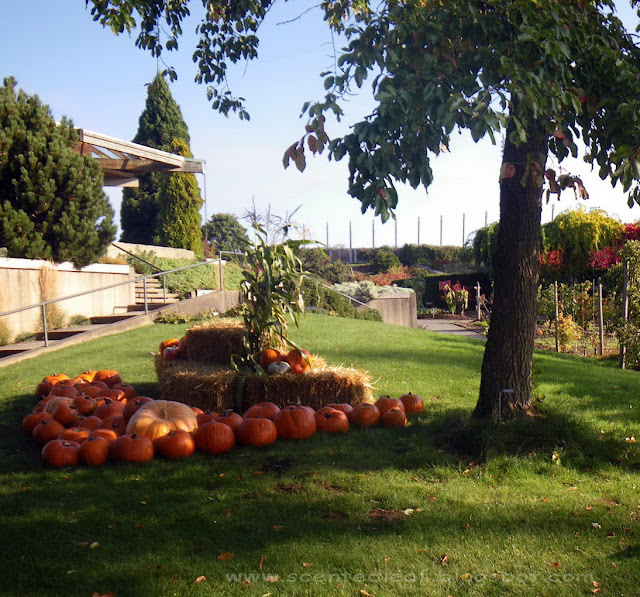 I'm a big fan of autumn decor: the pretty foliage and the pumpkin patches, and believe me, in Vancouver you could enjoy fascinating displays at almost any step. Some of them really impressed me... hope you like them, too. Well... with the Holiday coming up, the pumpkins are always a hit ;-) Their taste and a traditional pumpkin pie aroma never fail to give something special to upcoming winter days. 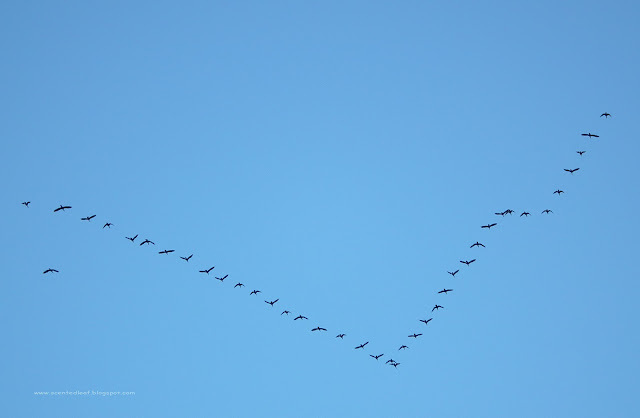 Hmm, I'll already miss them... it's just the time to make a move to the Christmas decorations and ornaments ;). 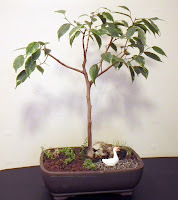 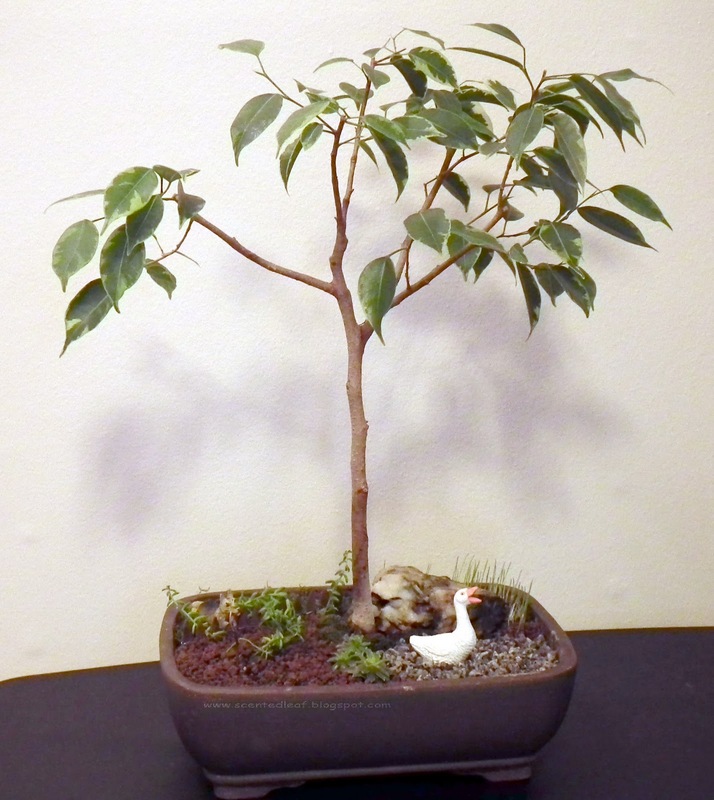 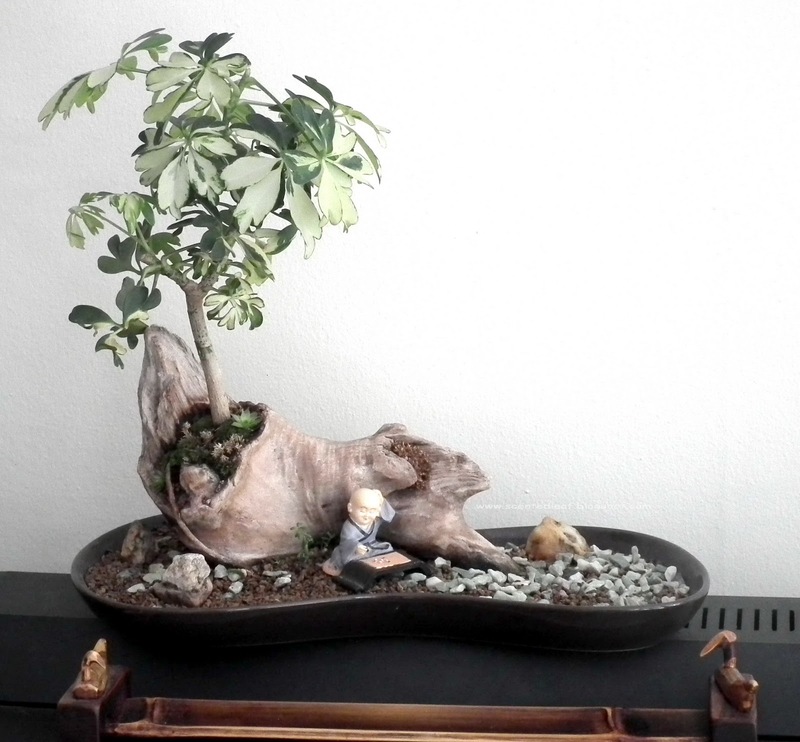 Dwarf Umbrella Tree with variegated leaves named also Dwarf Schefflera Arboricola is a plant very suitable for Bonkei (盆景, tray landscape), or miniature three-dimensional landscapes with dry materials like rocks, akadama, sand or driftwood. 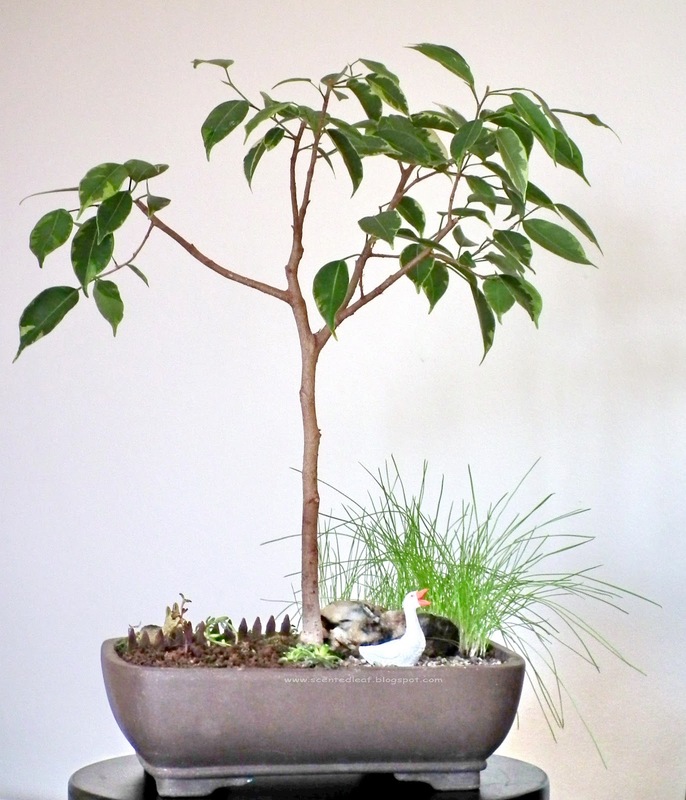 The leaves have a mild lemony note if you gently squeezing them and the umbrellas of splotches will make a delightful showy centerpiece at anytime. Start by selecting a setting that will suit with your landscaping idea and you'll appreciate the growing habit of these plants and the adaptability to any indoor environment. 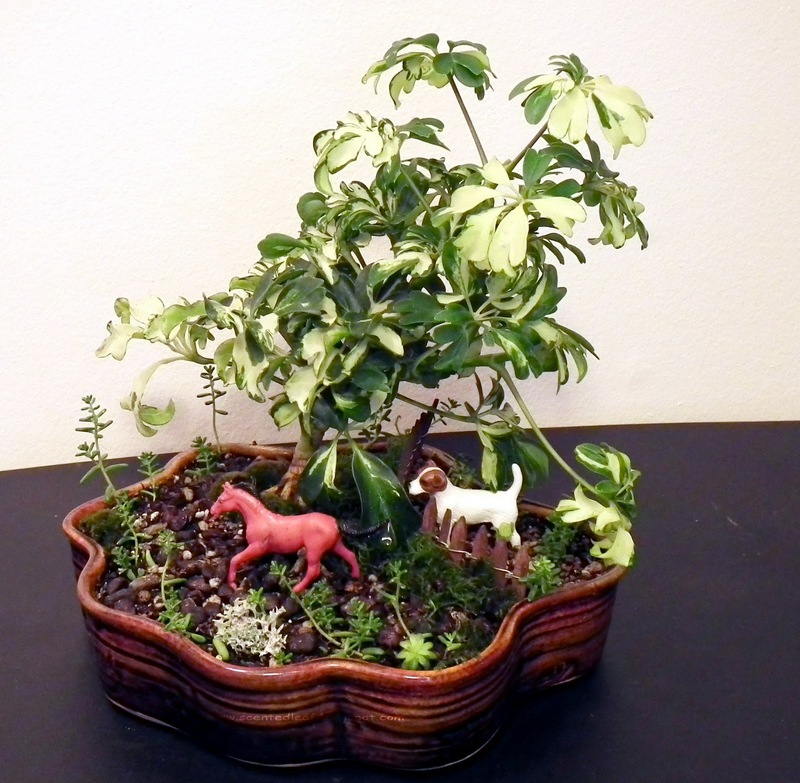 Don't you think that some figurines added to the whole setting like a GO-player, a running horse or a friendly dog give a warm look to any bonkei? 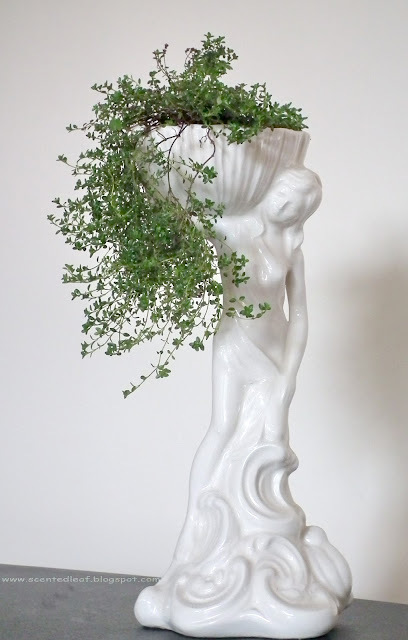 Aphrodite, known also as Venus, Cytherea, Cypris, Hathor, Cerigo or Afrodita, the Goddess of Love rises from the foam of the waves, enchanting anyone who sees her ... and spreading the fragrance of flavorful Mediterranean Thyme hanging out of her basket. 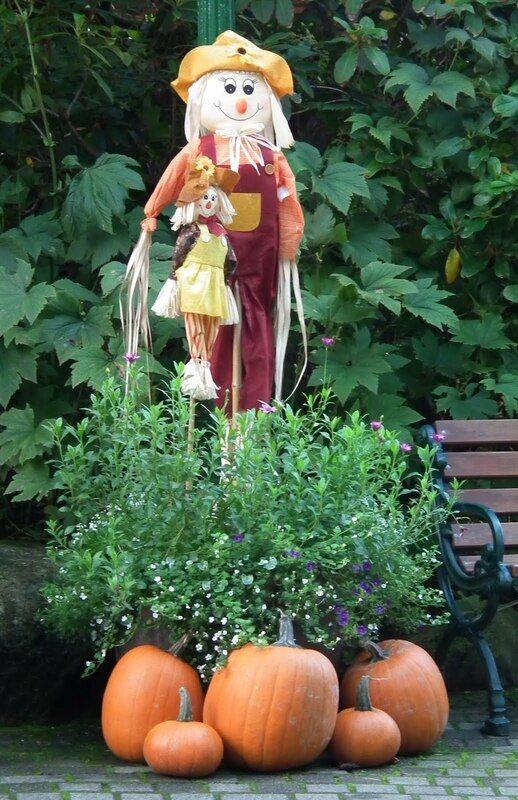 Don't you think that her magical powers to compel love wherever she goes will spread inciting feelings in any room? 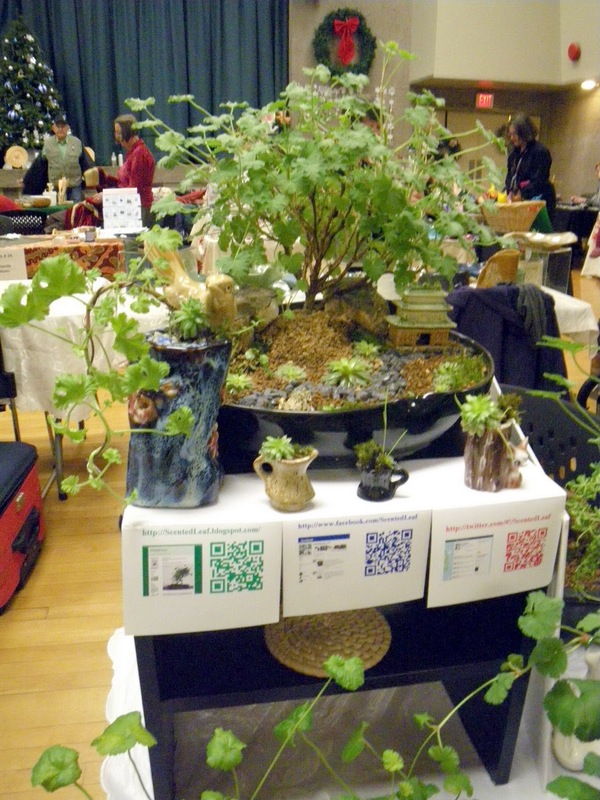 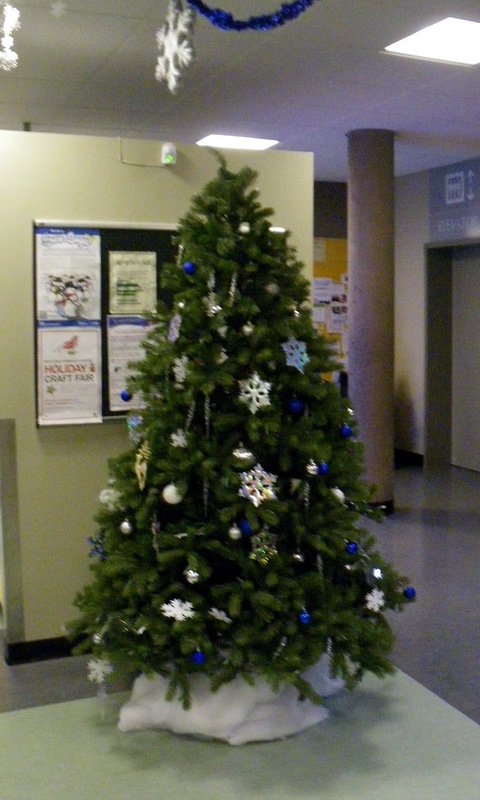 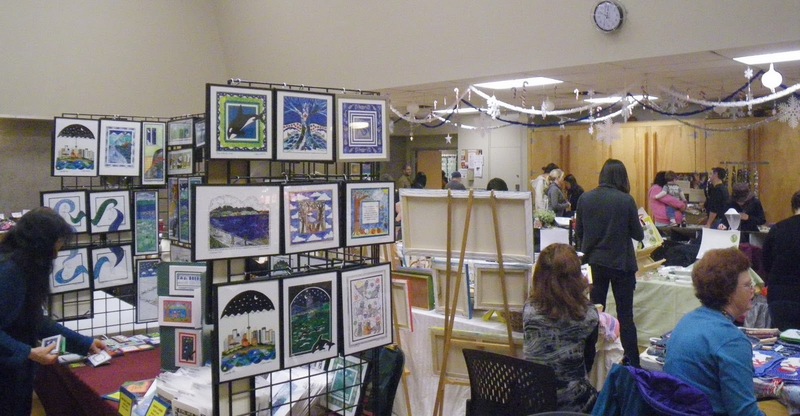 Thanks to all who attended our booth at the Holiday Craft Fair 2011, Vancouver, West End Community Centre. 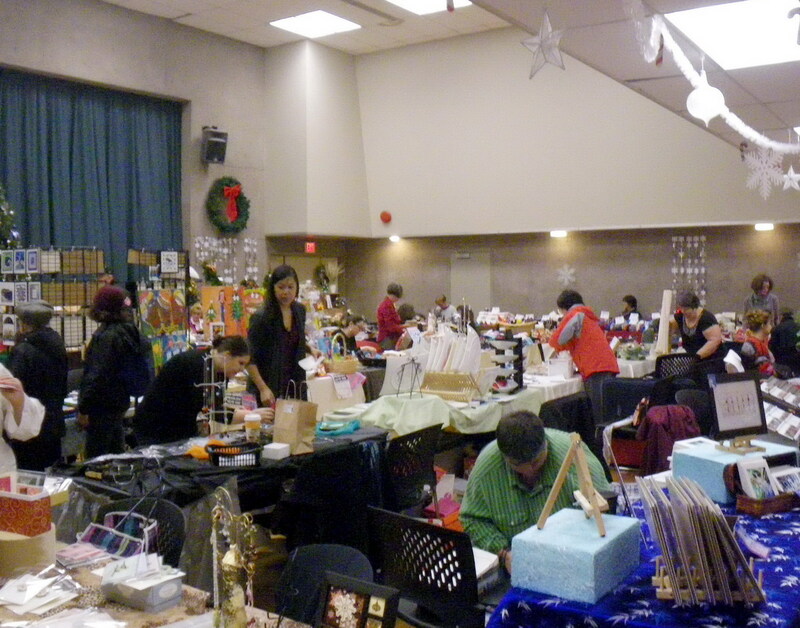 The craft fair was held on Nov 12th, 13th in the spectacular Auditorium and adjoining spaces of the West End Community Centre and we are grateful to them for hosting such an event. 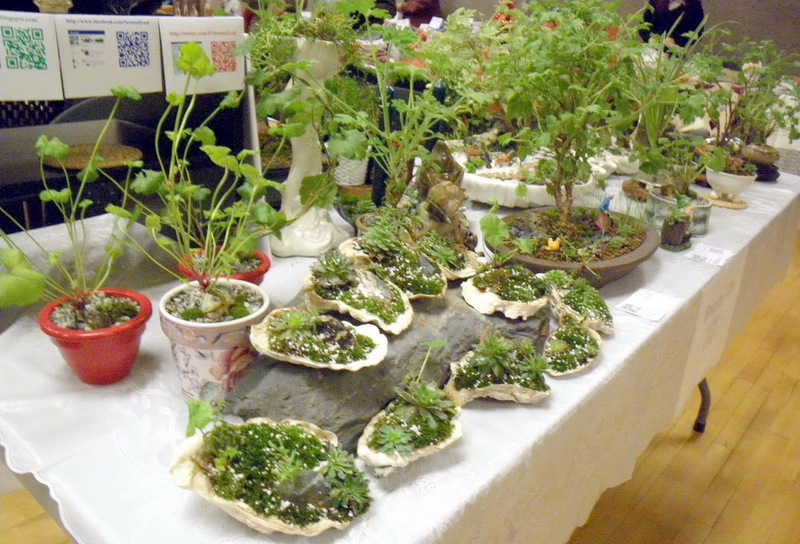 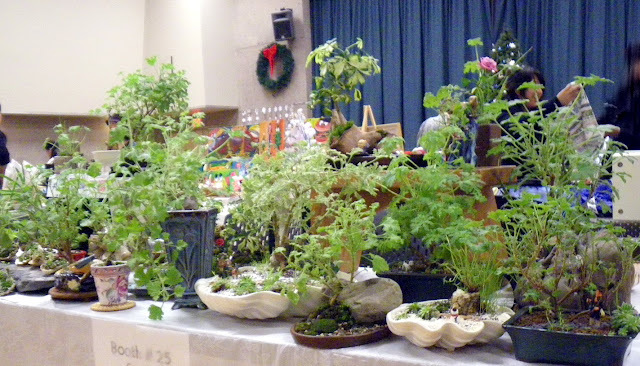 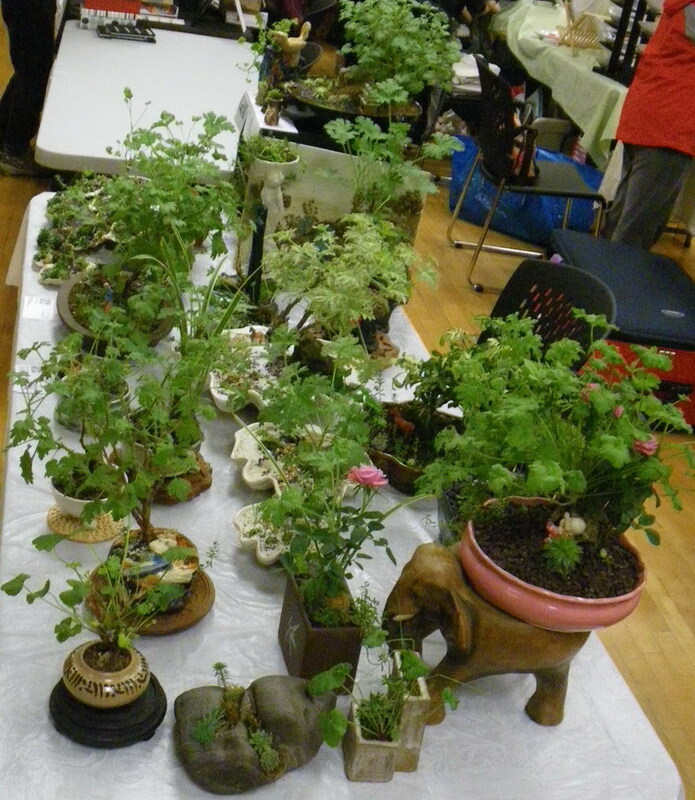 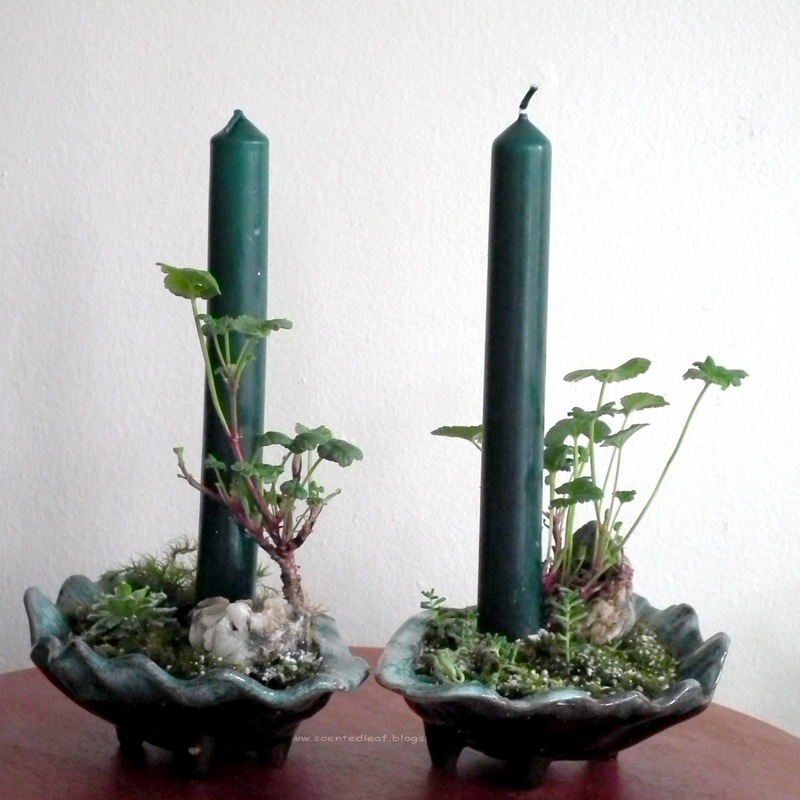 We have spent many frenzied hours preparing our fairy gardens and bonsai items for the craft fair and we were happy that the fair was a real success, with a big attendance. 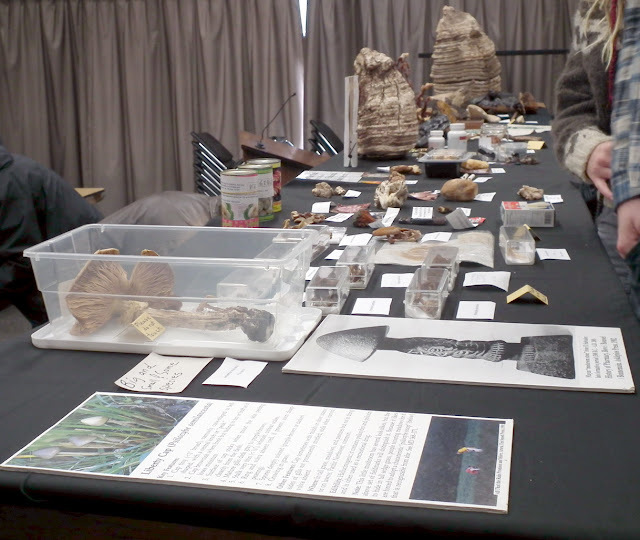 We got as much out of the experience as we can while we were there, and this is about the people we met and the contacts we made. 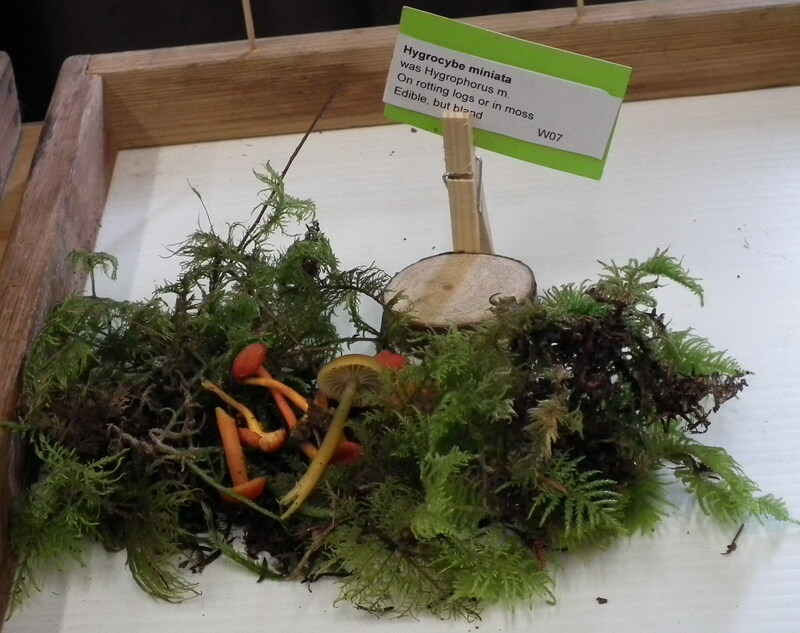 We dedicated some creative energy to our green display and we were happy that our artworks and our scented live presentations were appreciated by most visitors. 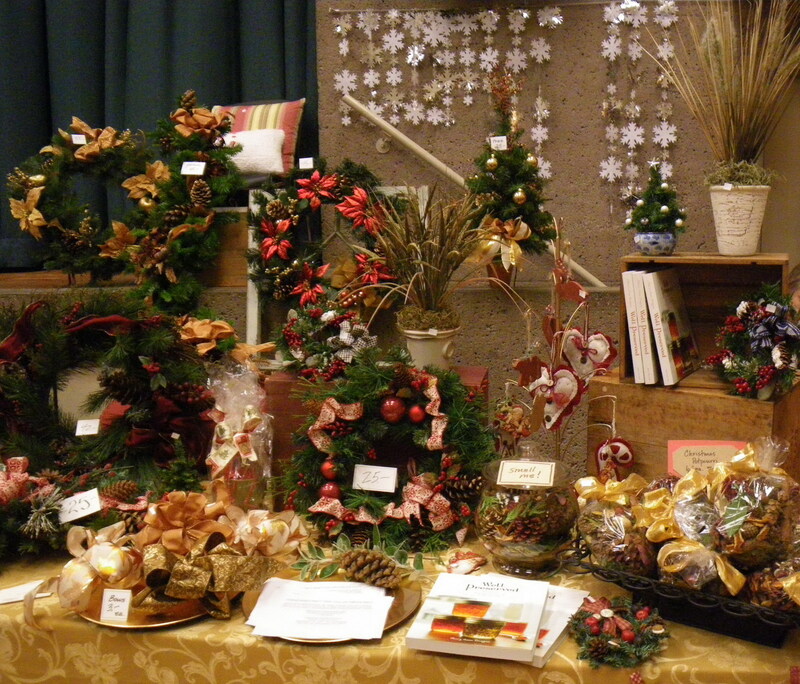 Well, the traditional Christmas tree and dried flowers wreaths have welcomed the visitors in the main lobby. The craft fair has come and gone, but stay tuned - after we enjoy the Christmas and the Holidays with our families and friends, we`ll be back to 2012`s events. 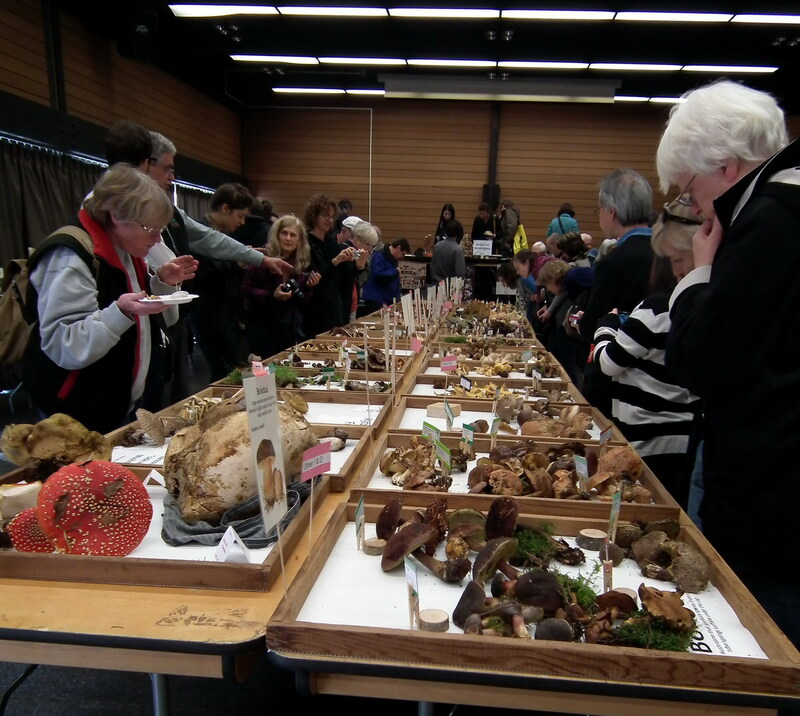 A special thanks to all those who made possible this experience. 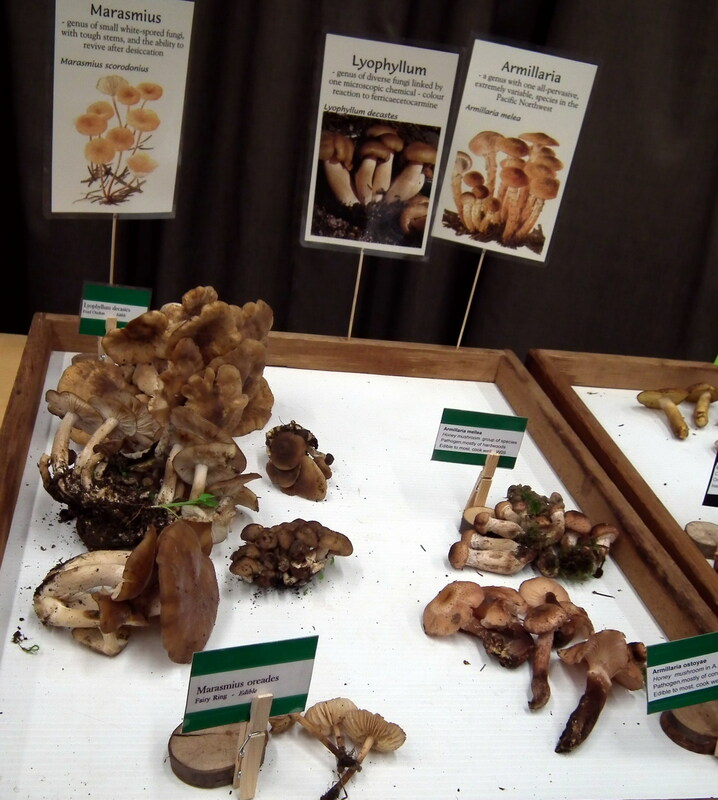 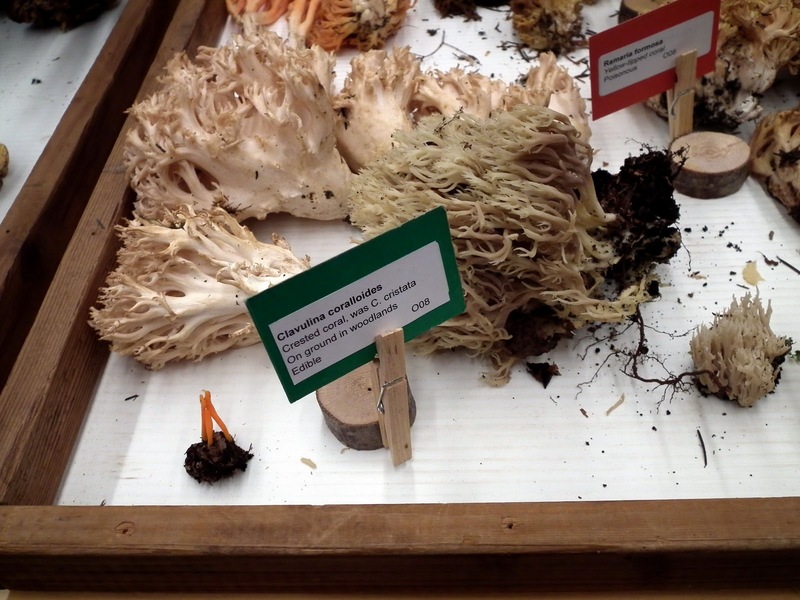 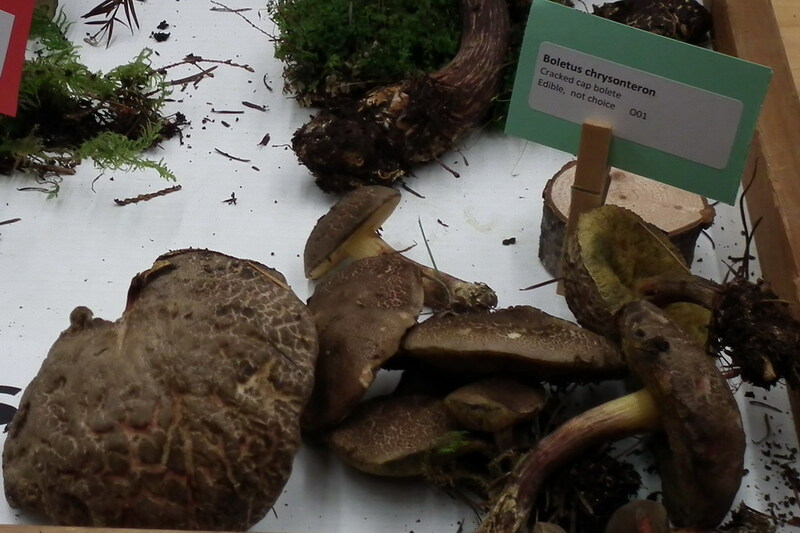 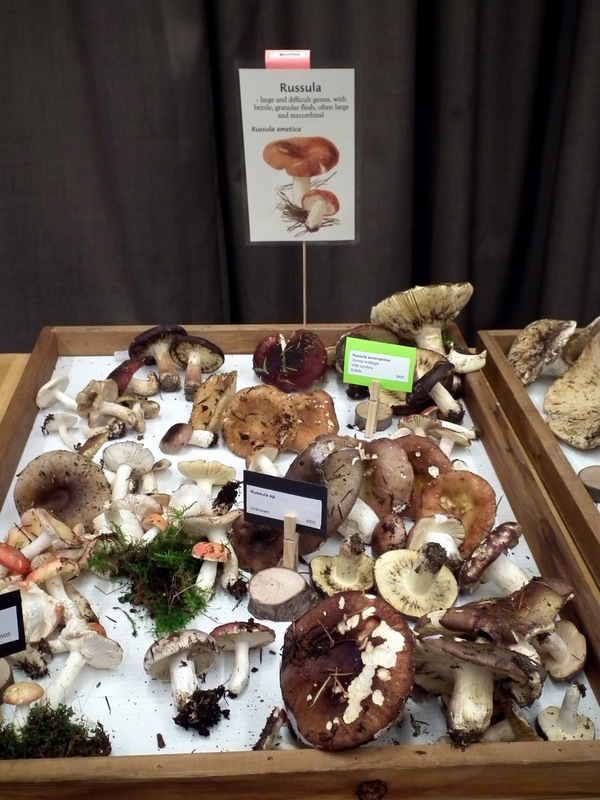 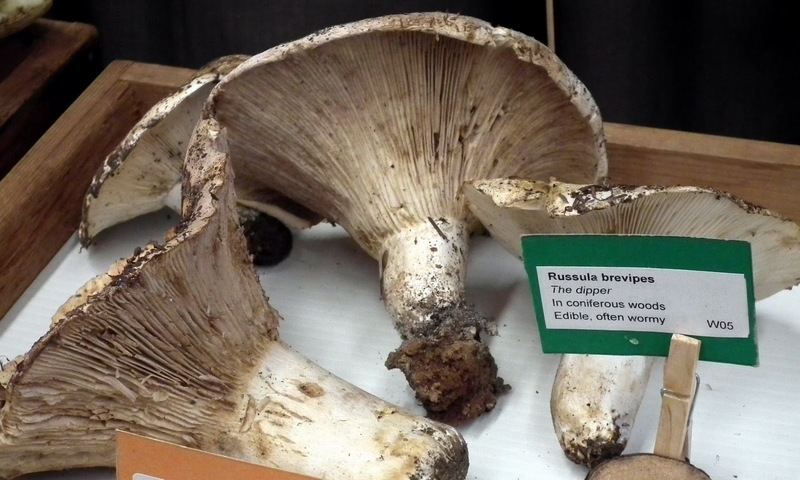 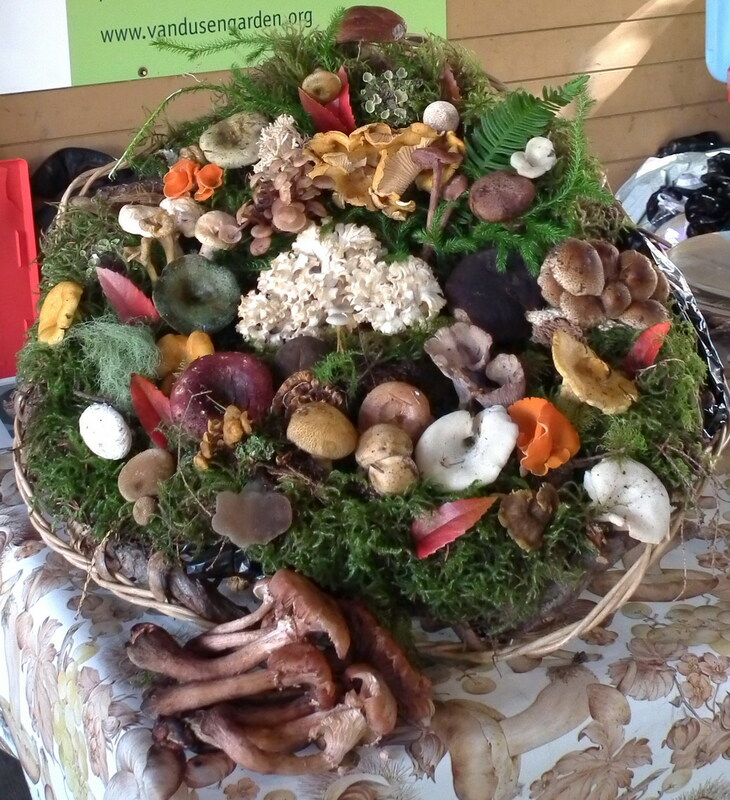 On October 23th, I attended Vancouver Mushroom Show, Fall 2011 organized by Vancouver Mycological Society in the Floral Hall of VanDusen Botanical Garden. 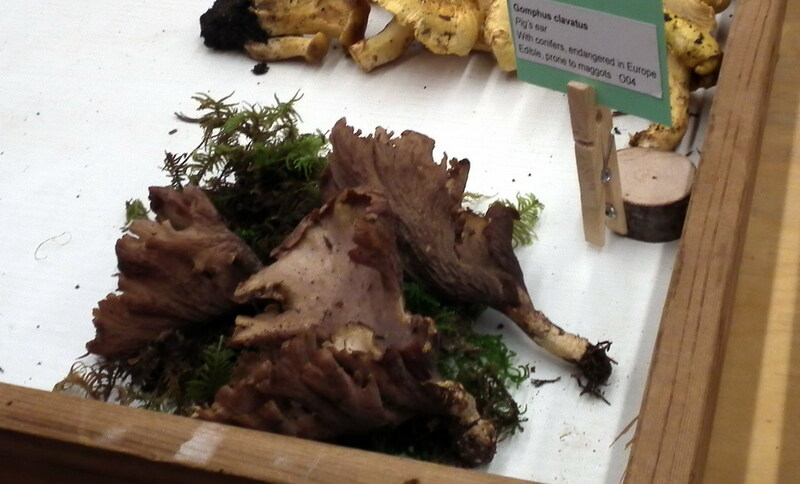 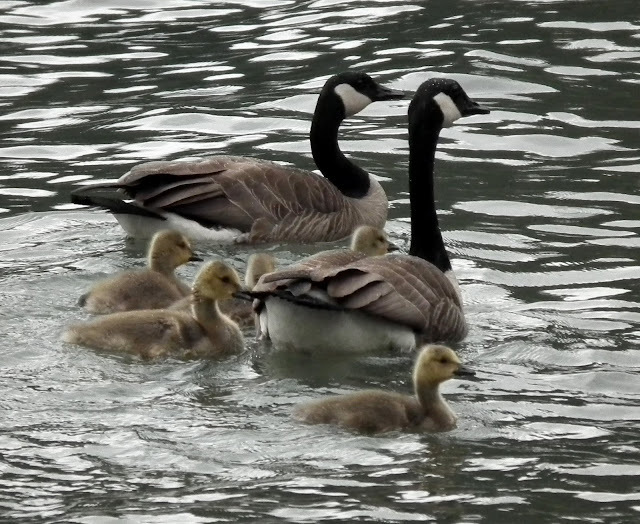 I couldn't resist snapping a lot of pictures of almost everything. 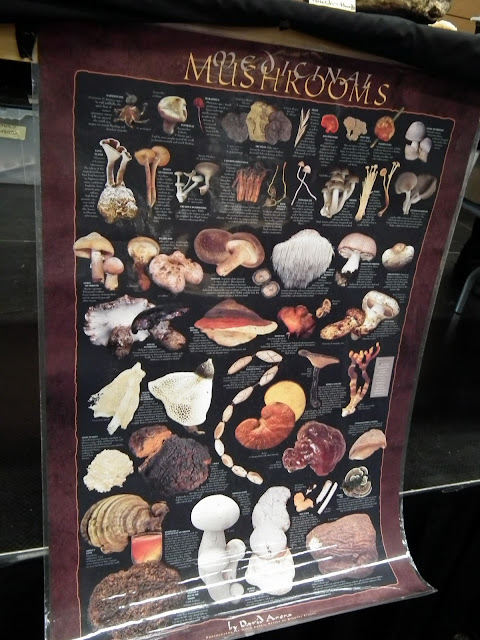 I was attracted by mushroom's world since ever. 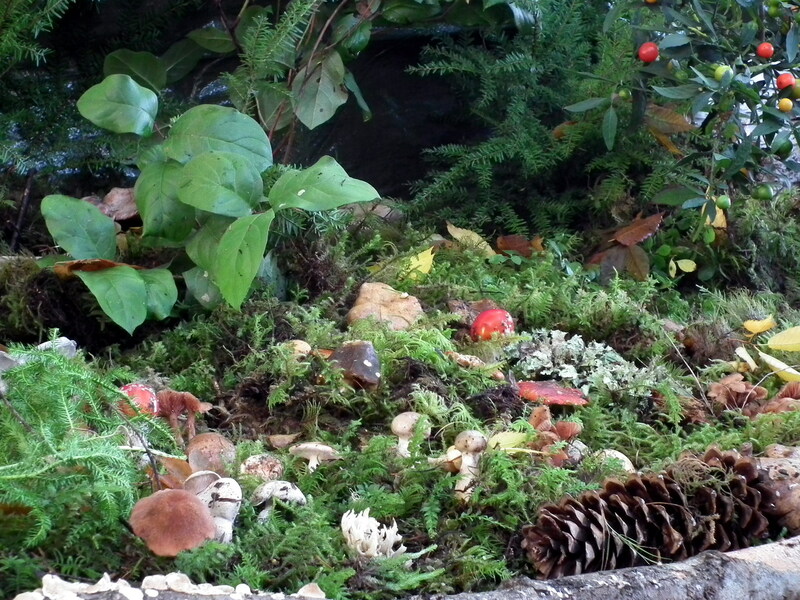 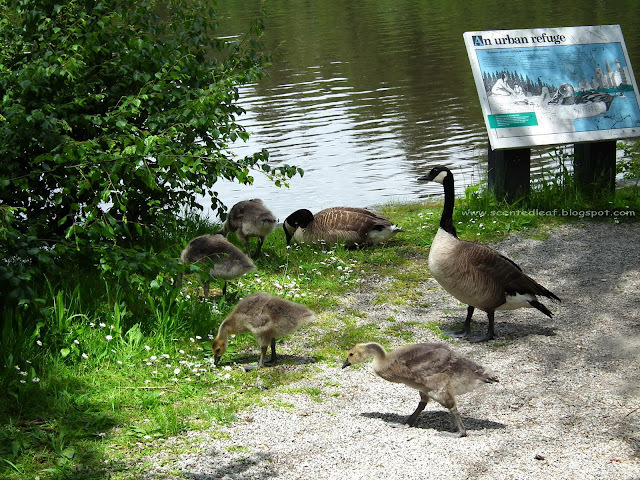 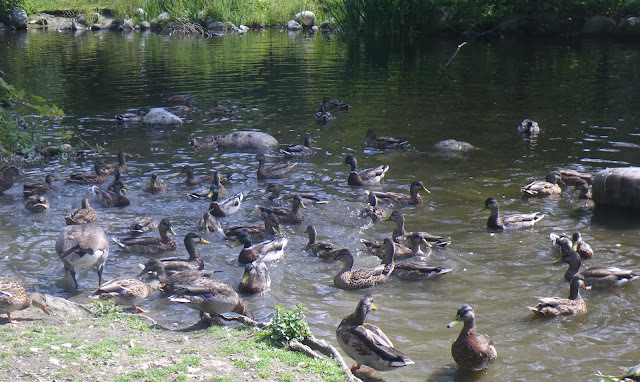 In fact, I like more to discover them near pathways or hidden in grass, on logs or under leaves in my walkings. Thinking more about them, I don't know what is more attractive: their colors, their shapes or textures... but I can easily spend from an hour to most of a day overlooking some new mushroom growing in the wild. or to buy the various artworks with mushroom and fungal motifs, and some books about mushrooms cultivation, identification, usage or preservation. 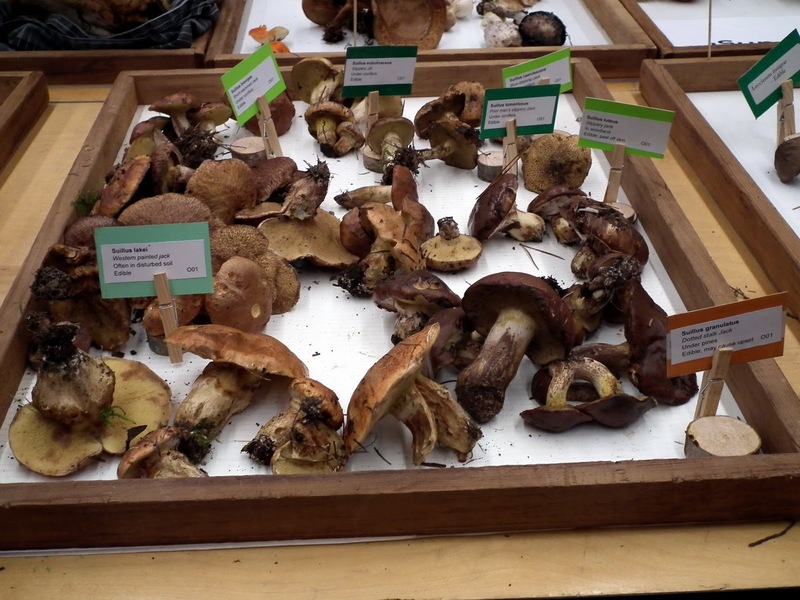 Anyhow, I've learned to identify more than 20 edible mushrooms: Boletus Chrysonteron aka Cracked Cap Bolete, Calvitia Gigantea aka Giant Pufball, Clavulina Coralloides, Gomphus Clavatus aka Pig's Ears, Hygrocybe Miniata, Hygrophorus Eburneus, Leccinum Scabrum aka Birch Bolete and other varieties of bolete, Marasmius, Lyophyllum, Armillaria, Pleurocybella Porrigens aka Angel Wings, Russula Aeruginea aka Green Russula, Russula Brevipes, Suillus various types and Lactarius. 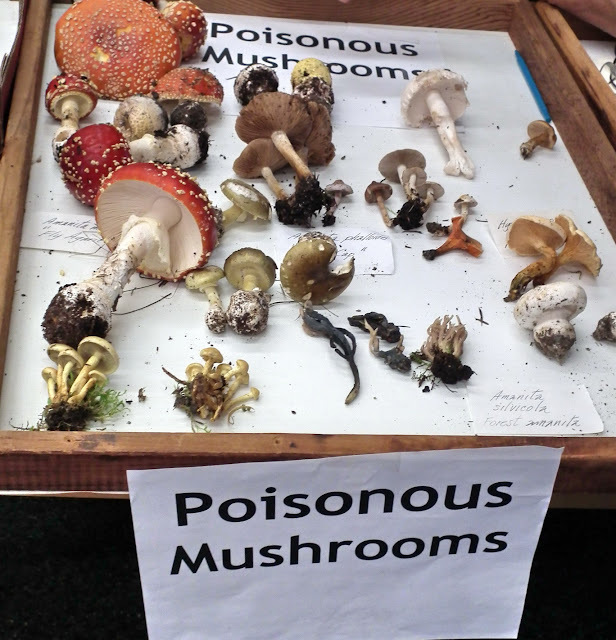 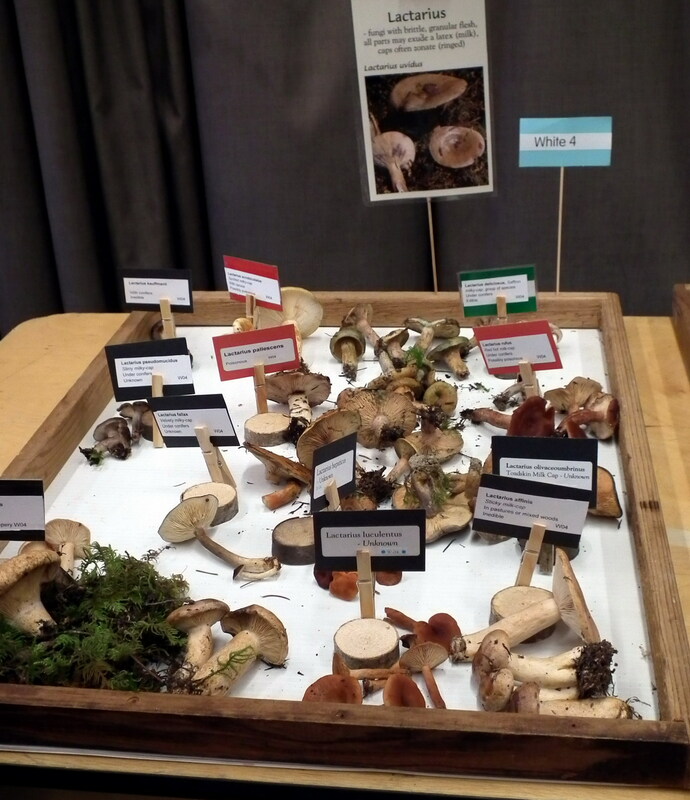 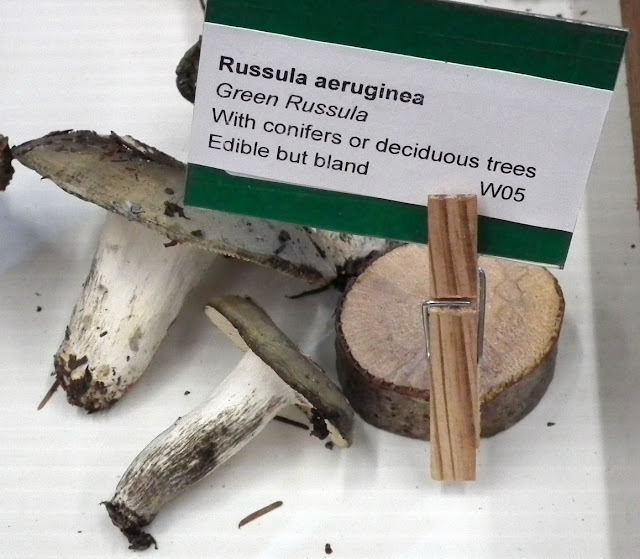 It was an interesting lesson of identifying mushrooms, but I'm not sure I will be so courageous to hunt them in the wilderness of Canadian Rockies because some mushrooms from same family (like Russula, Suillus or Lactarius) are edible and other not. 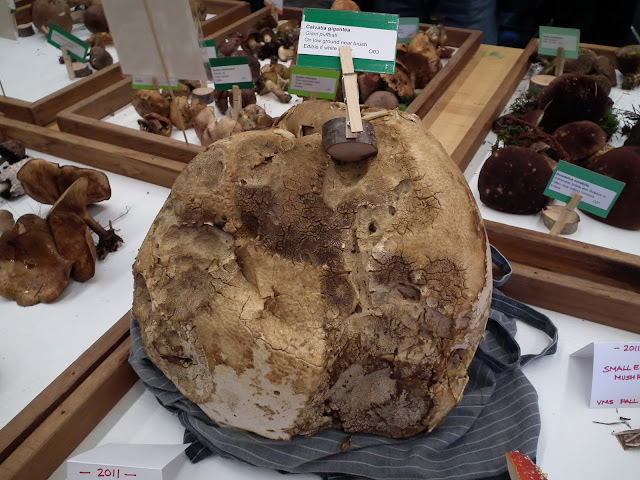 Very strange seems to be Giant Pufball aka Calvitia Gigantea (it was indeed huge) which is "edible if is white inside" ;-) . 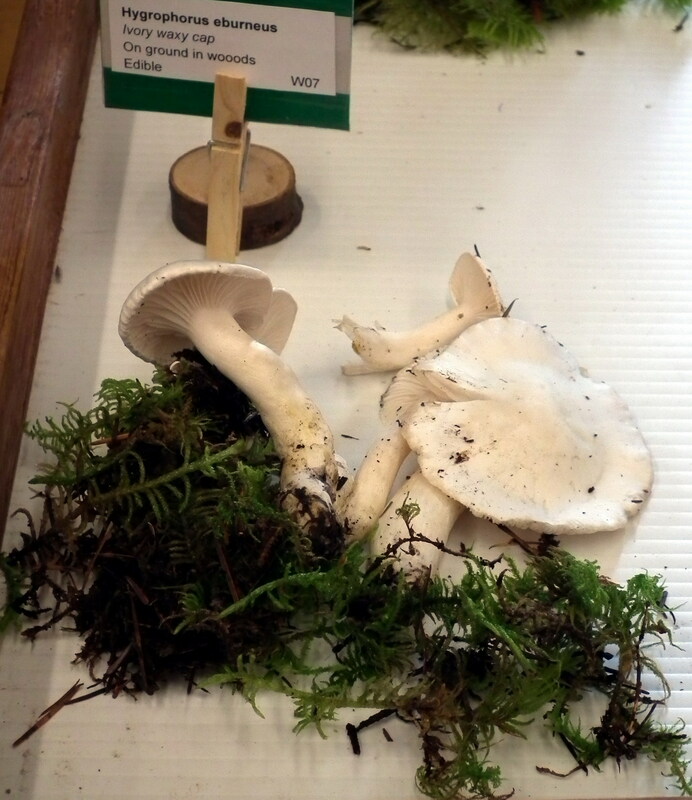 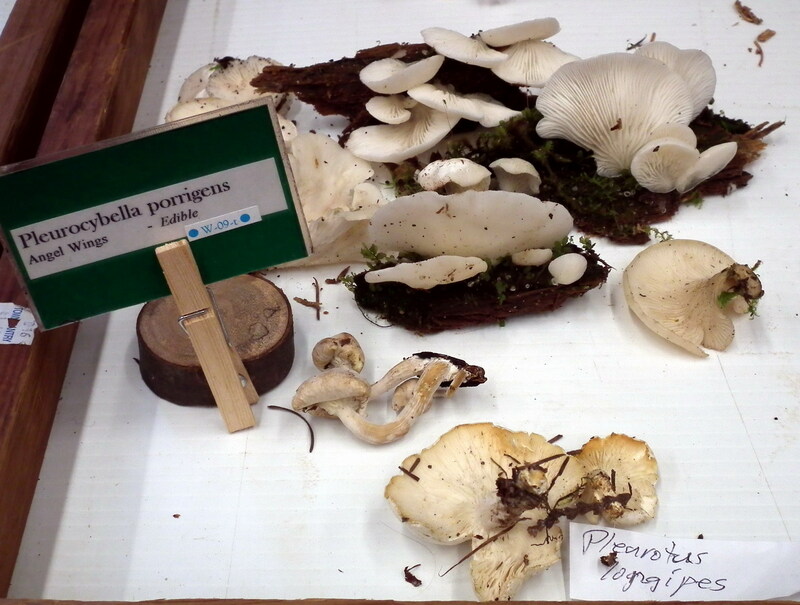 So, for cooking and studying how to grow mushrooms at home, we bought two kits of "grown your own mushrooms at home": one of Shiitake / Lentinus Edodes and other one of Tree oyster/ Pleurotus Ostreatus. 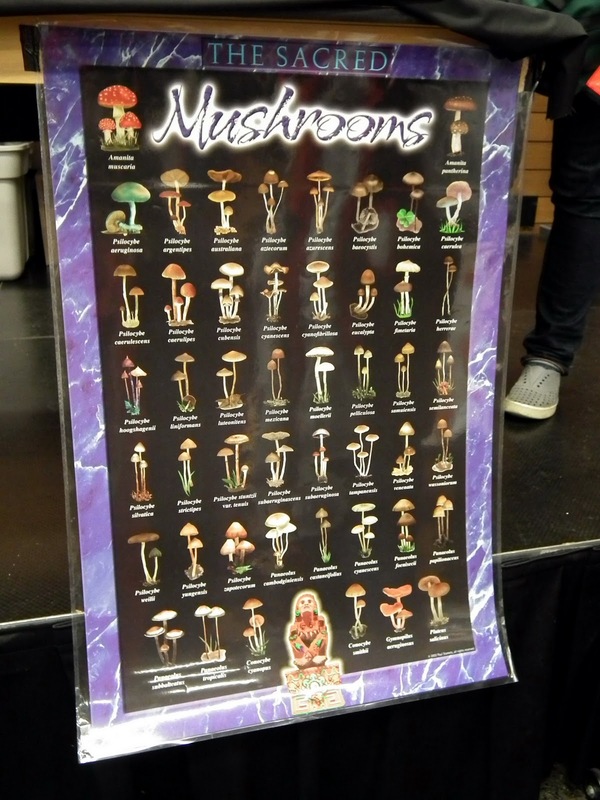 We respected the instructions shared by experts on cultivation and I'm very curious to see how will appear the mushroom pins and how will grow undisturbed the caps through the slits created in bags. 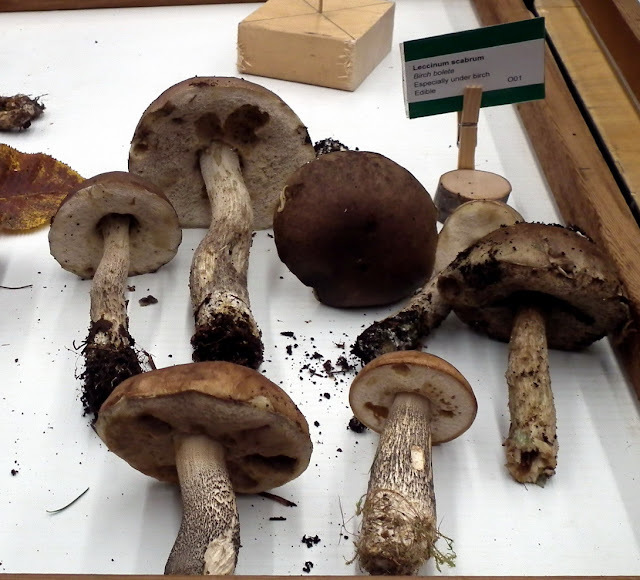 Hope to harvest my first crop of mushrooms before first winter freeze. "A picture is worth a thousand words", so, it is much better to see by yourself how amazing were the mushrooms displays at the Vancouver Mushrooms Fall Show 2011.